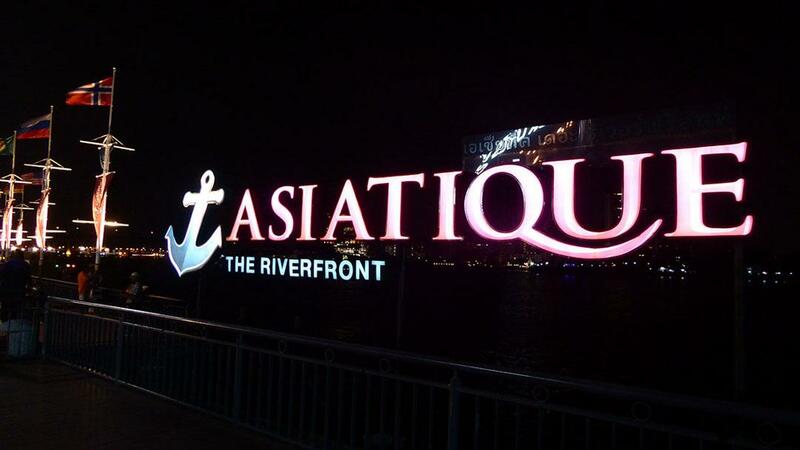 Asiatique (The Riverfront) is a large riverside open-air lifestyle mall. 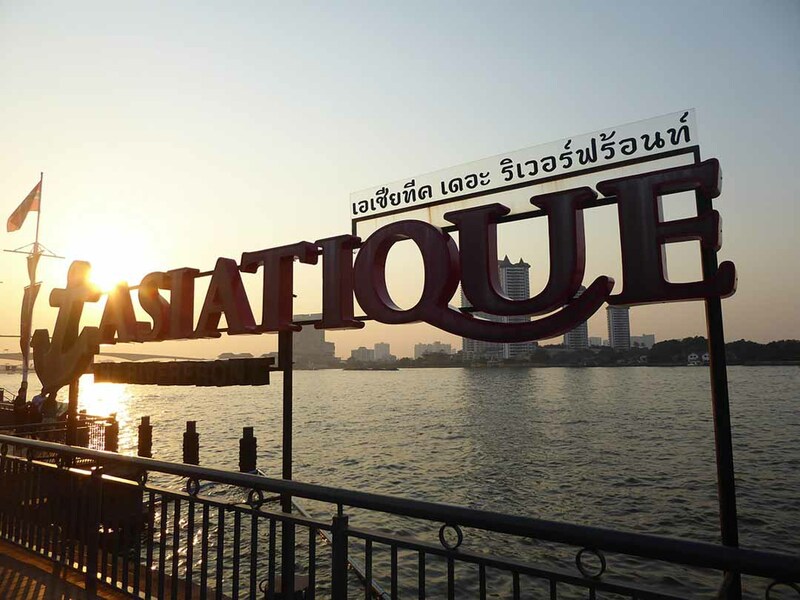 It’s built on former docklands on the banks of the Chao Phraya river. 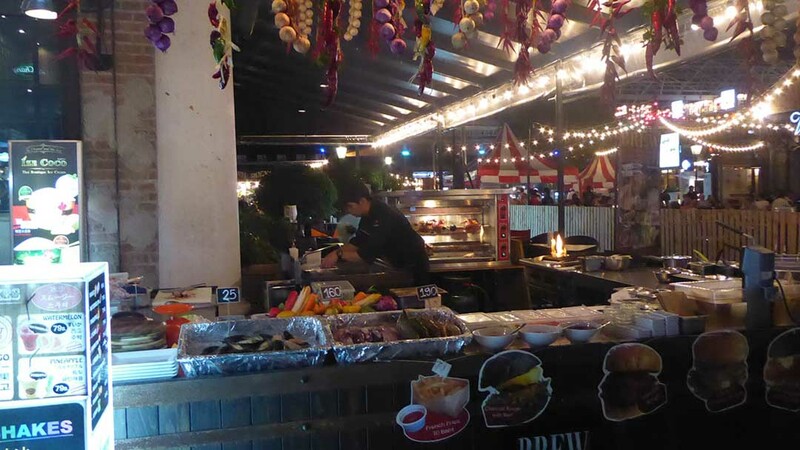 It has quickly become one of the most popular places in Bangkok. Visitors are both locals and tourists. The development has a maritime theme. 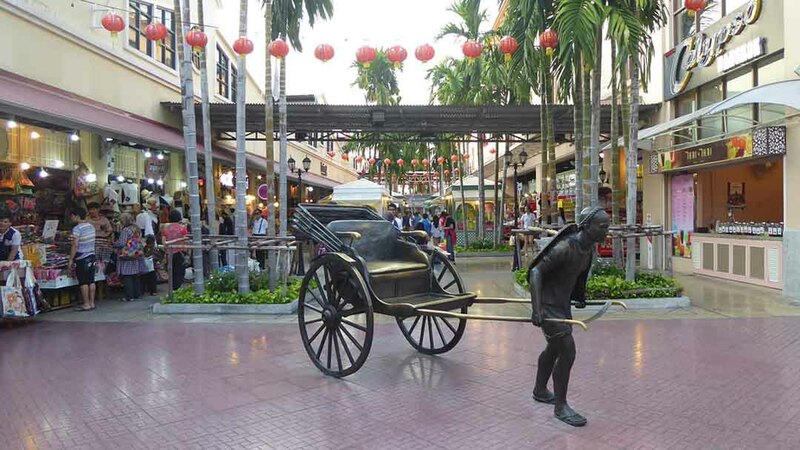 There are many statues and objects representing maritime activity. The old dock warehouses have been renovated into shops and restaurants. Other landmarks include a giant Sky Wheel, an old sawmill, and a World War 2 bomb shelter. There is also a replica of an old Bangkok tram. The 300m riverside promenade features open-air restaurants. 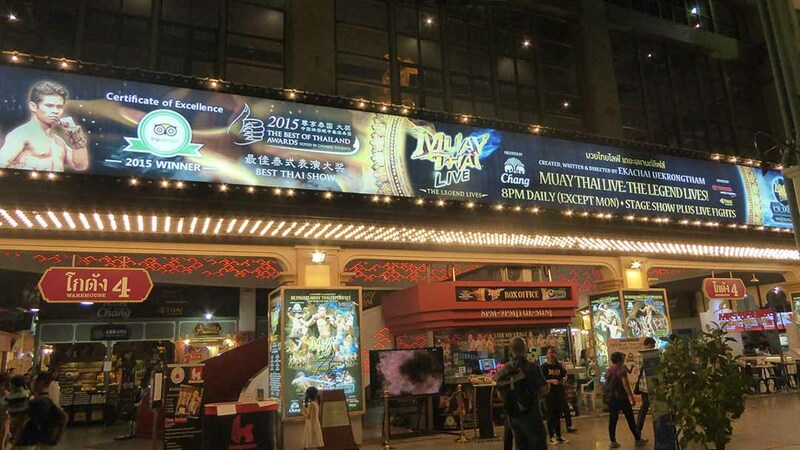 A theatre district features the Ladyboy Calypso Cabaret and Muay Thai live, a Thai boxing show featuring live fights. 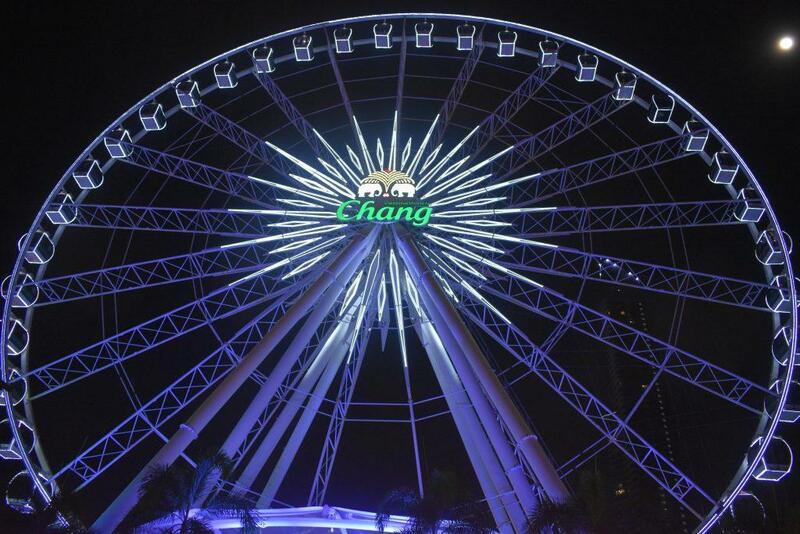 The Sky Wheel has become one of Bangkok’s landmarks. It is 60 meters high and has 42 gondolas with amazing views. 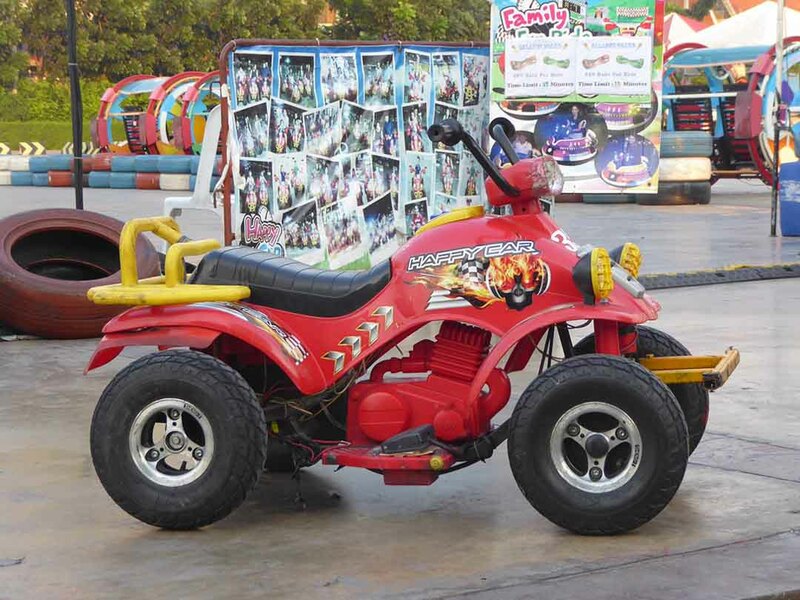 400 Baht (adult), 250 Baht (child under 120cm). A private cabin for 2 is 1500 baht and a VIP cabin for 2 to 5 people is 2500 baht. 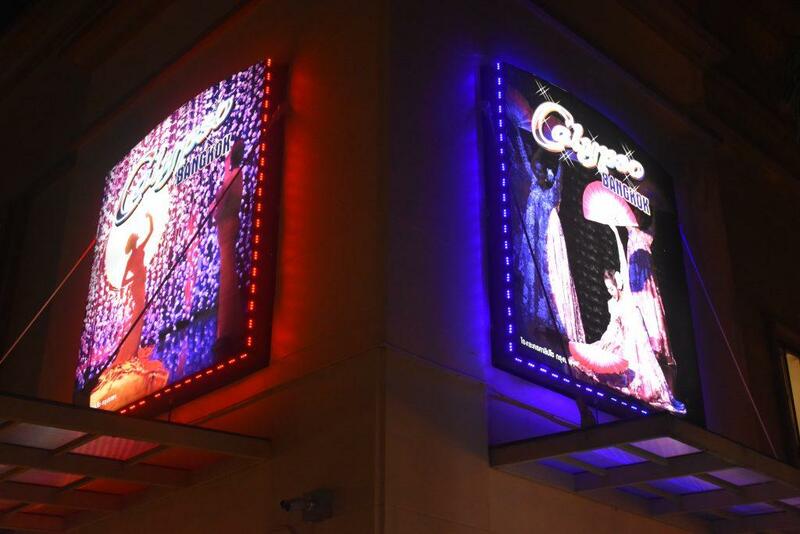 Calypso is the most famous transgender cabaret show in Bangkok running for over 28 years. 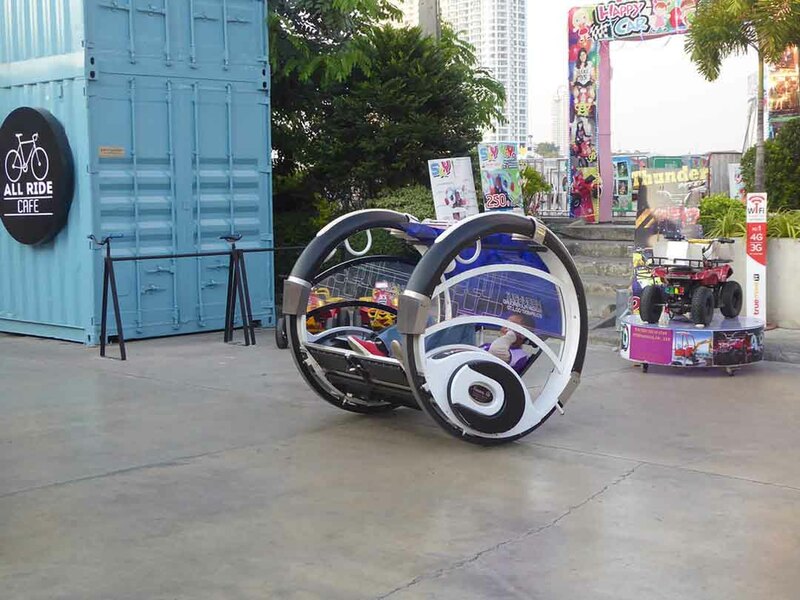 It’s in a 480-seat theatre within the Asiatique complex. There are 2 daily shows at 19.30 & 21.00. The show runs for 70 minutes featuring 15 show numbers by a host of transgender performers. The show features Lady GaGa, Elvis, Beyoncé, Geisha, Chinese ballads, traditional Thai dance and lots more. Note that the singing is not live but is lip-synched. You can save money by booking your tickets online. Ticket Only – 1200 baht at the box office. 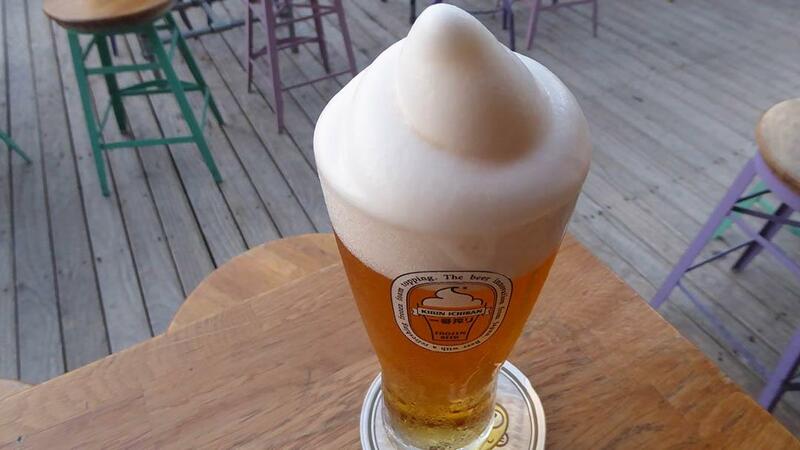 The price includes one free drink in the theatre. Ticket & Pre-Show Dinner 2000 baht at the box office. 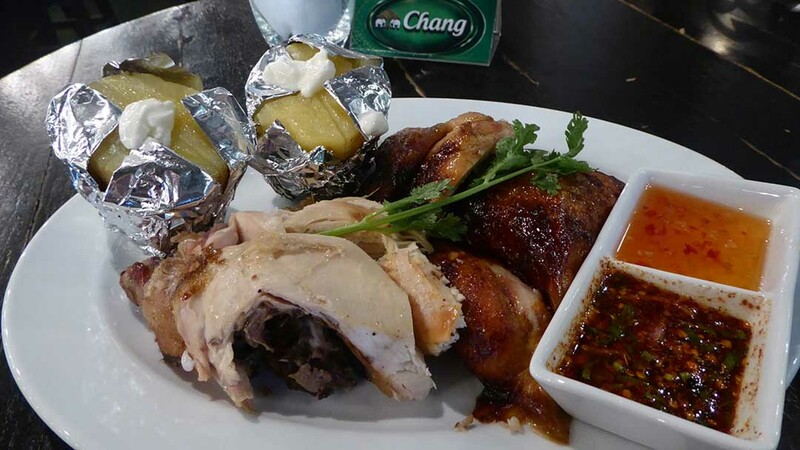 The dinner is a set Thai menu served in calypso’s own restaurant with a choice of regular, vegetarian or Muslim. Note that you need to ask for the vegetarian and Muslim options when booking. The dinner includes a Khon dancing show. The dinner times are 18.00 for the 19.30 show and 19.45 for the 21.00 show. 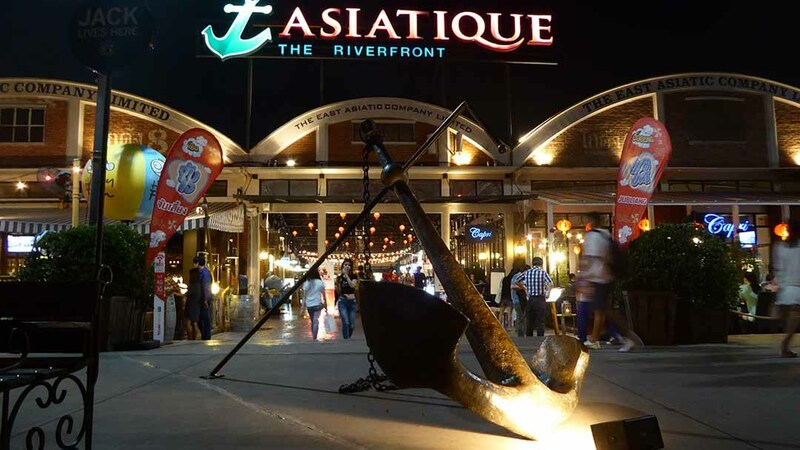 Asiatique is primarily a night bazaar with 1500 small shops & stalls and 40 restaurants. 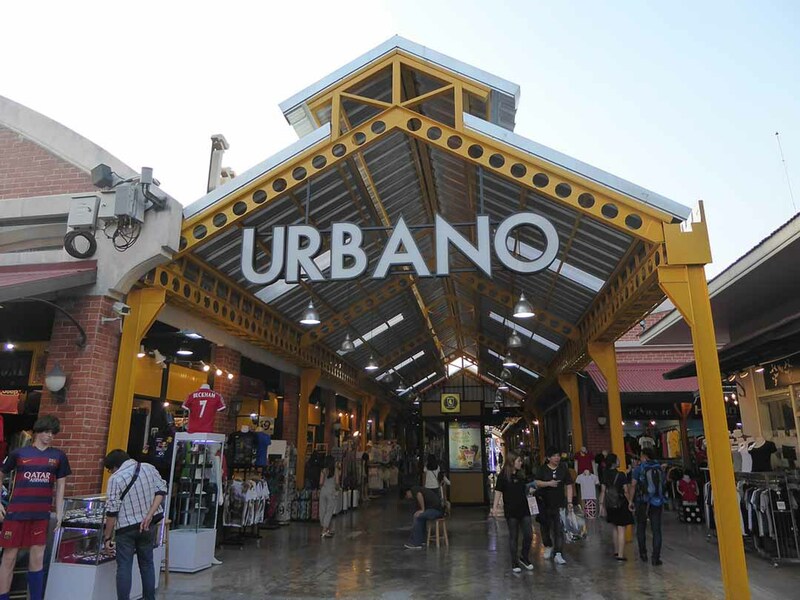 The shops are a mix of small modern boutique-style stores. 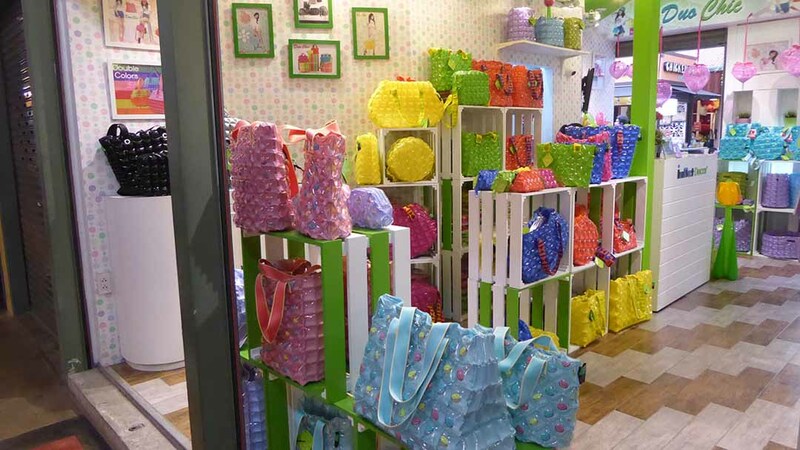 You can browse designer fashion clothing, accessories, antiques, furniture, and home decor. 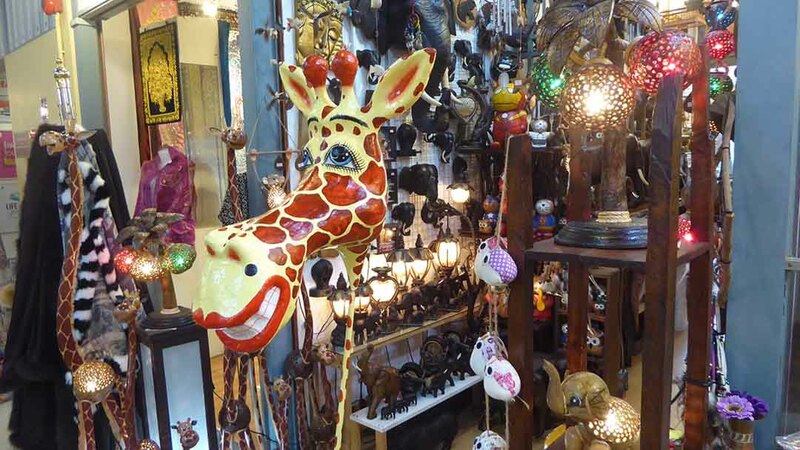 Also Thai handicrafts, small gift items, and souvenirs for trendy locals and tourists. 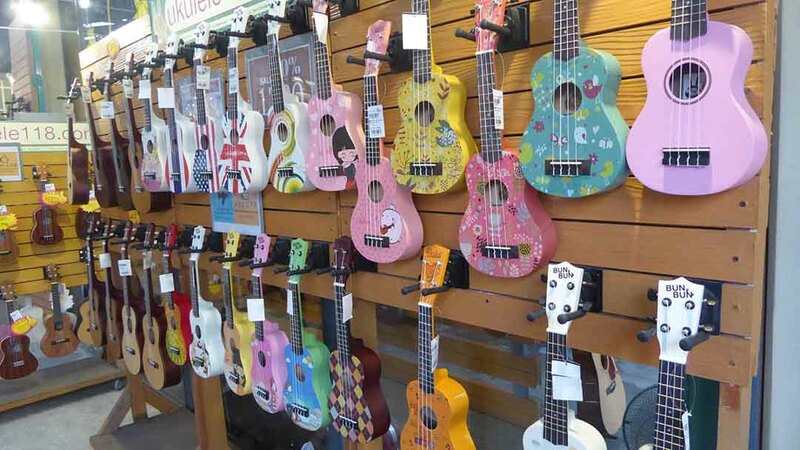 You won’t find any chain stores here. 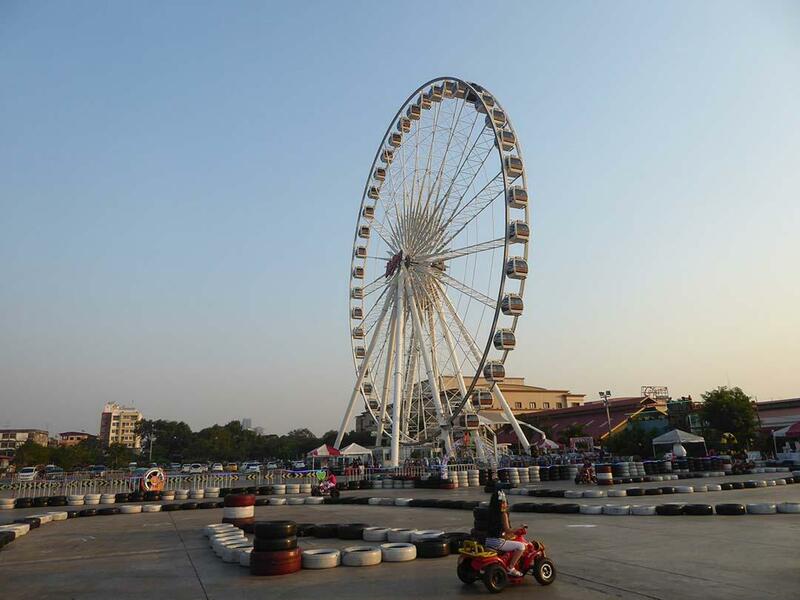 Asiatique is family friendly and kids have a variety of rides including Hoverboard, Happy Bikes, Moonwalkers, and the Asiatique Sky giant Ferris wheel. 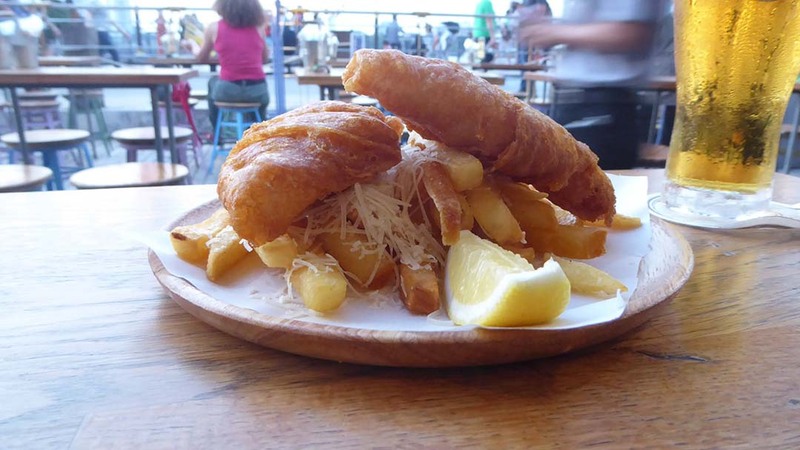 There is a good choice of dining options including Thai, Japanese, Seafood, BBQ, Pizza, Steaks & Burgers. The Restaurants overlooking the river are more expensive though prices are reasonable by International standards. At the back of the complex, you can find cheaper eating options including McDonald’s & KFC. 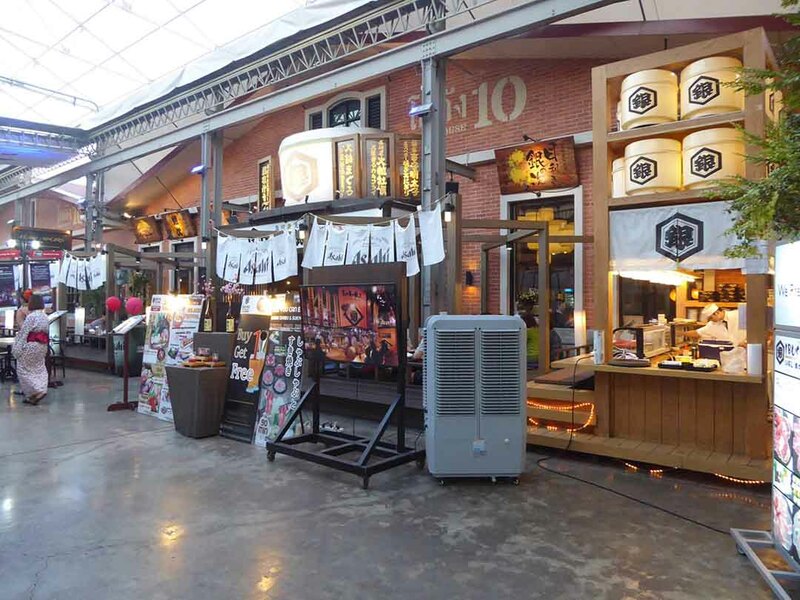 A central food court serves up mid-priced dishes with a mixture of cuisines. 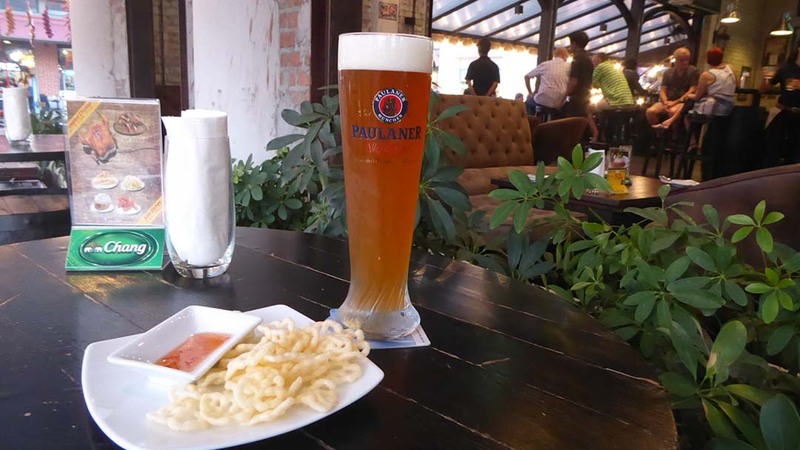 Most of the bars & restaurants have happy hours between 17.00-19.00 with a buy one get one deal on beer & cocktails. 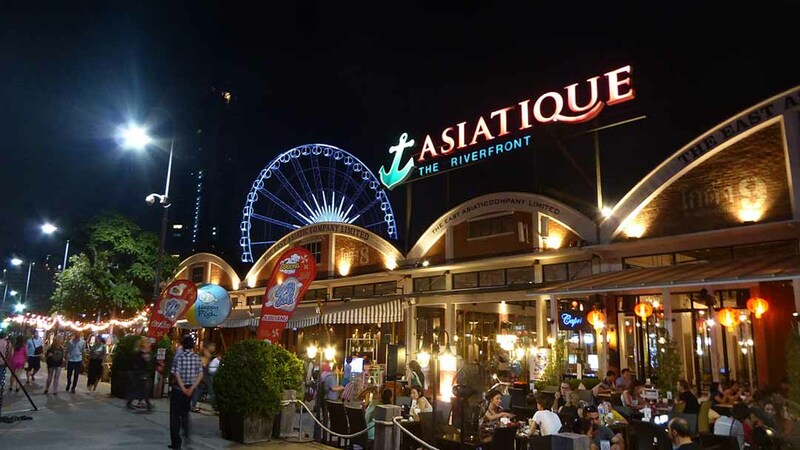 A visit to Asiatique makes for a nice relaxing evening with an enjoyable mixture of shopping, entertainment, dining and drinking in comfortable, clean and spacious surroundings. 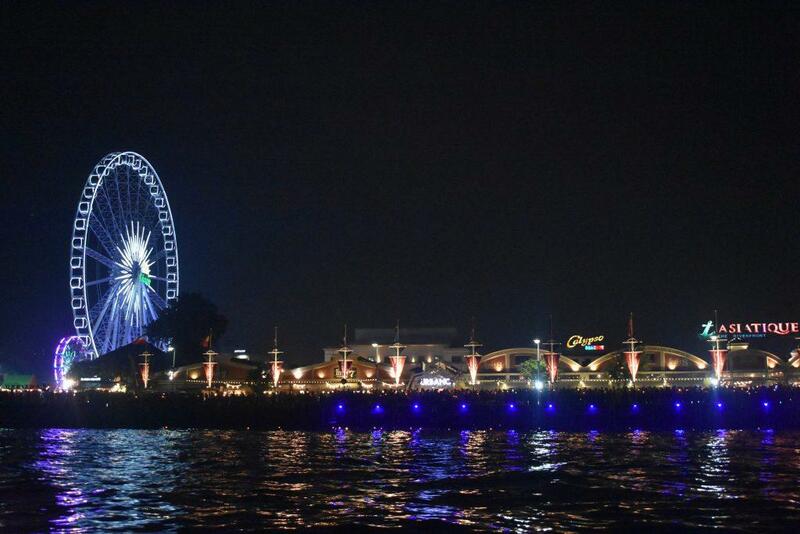 The best way to get to Asiatique is to take the free shuttle boat from Sathorn Pier. The pier is next to Saphan Taksin BTS station, though there can be long queues. Alternatively, a taxi can take you from Saphan Taksin for about 60 baht. 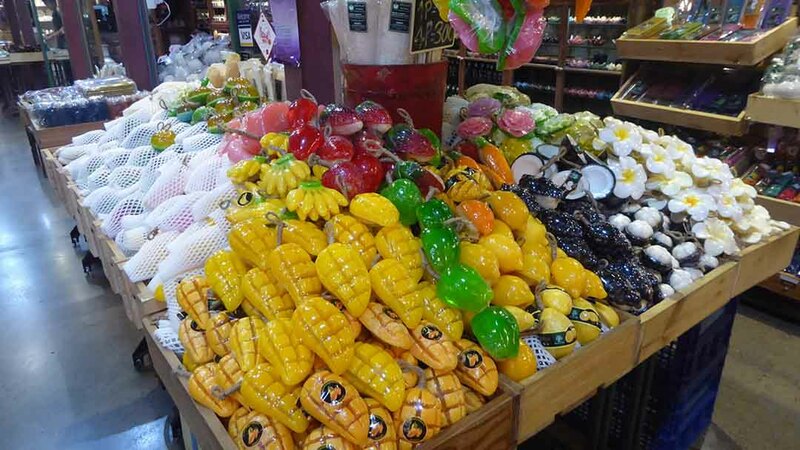 Location: 2194 Charoen Krung Road near Soi 74. 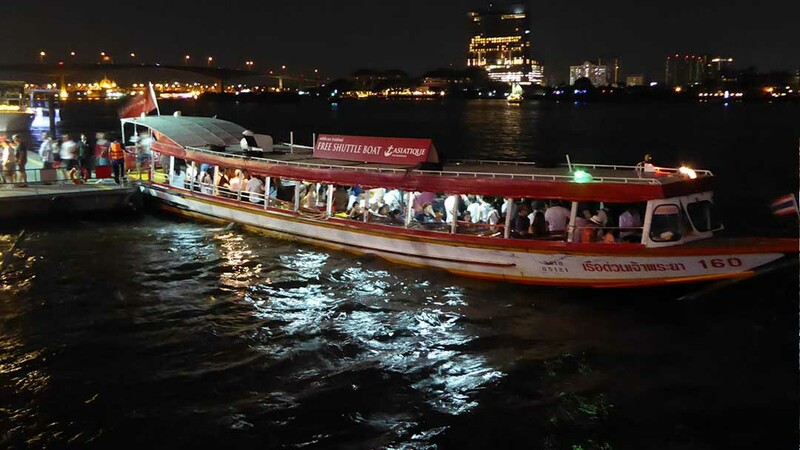 Free Shuttle Boat: – from Sathorn Pier every 15 minutes from 16.00 – 23.30.